Many a fortnight ago, “nog” referred to a style of strong beer brewed in England, while a “noggin” was a vessel used for imbibing said nog. Alternatively, some suggest the name evolved from the term “grog”. 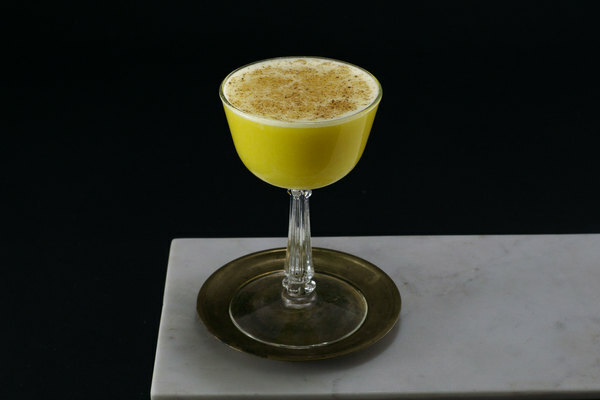 While the etymology of eggnog is open to debate, culinary anthropologists generally agree that the contemporary interpretation of holiday cheer descended from posset: a British concoction of hot milk mixed with wine or ale and enhanced with spices. Dairy and egg-based drinks were a hit in American colonies, where cows and chickens were in no short supply. Old world spirits were replaced by the more accessible liquors of the New World, such as rum and bourbon. In the great city of Baltimore it was a tradition for young gents to call upon all of their friends on New Years day. 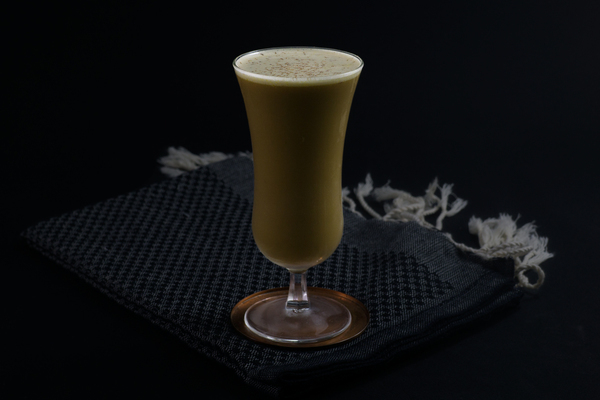 At each home they would toast the day with a cup of eggnog: a round of drinks that—depending on the size of one's social network—could be particularly difficult to finish. 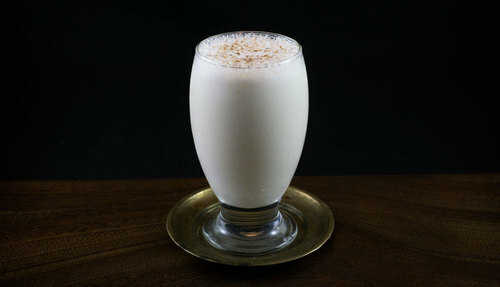 Baltimore Eggnog employs a deliciously dysfunctional family of spirits: madeira, brandy, and rum. 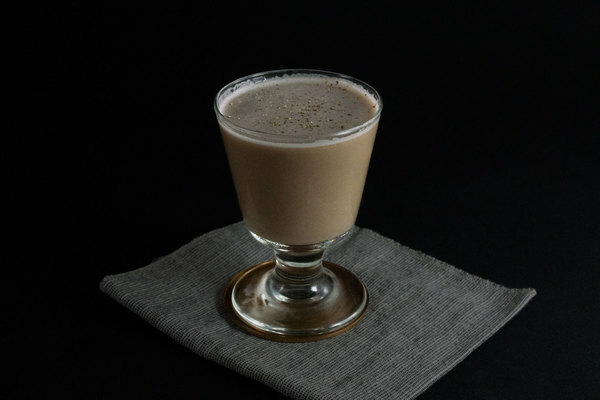 The caramelly dark rum, nutty brandy, fruity wine, and spicy nutmeg liven up the luxurious dairy base for a merry explosion of holiday flavor. Feel free to play around with the wine; sherry or madeira are fairly interchangeable, but select a dry variety. In a pinch, dry vermouth is an acceptable alternative. This drink is milkier than custardy nogs. For a richer texture you could skip the whole milk and use entirely half and half. A punch bowl full of cloudy nog may be picturesque for grand soirees, but when serving a smaller crowd, the convenience of mixing an individual serving is unbeatable.